April is the cruelest month of all, wrote T.S. Eliot. Not so the mowalis, a breed of Bangali whose livelihood is traditionally dependent on the Sundarbans. For them April is the month of hope. 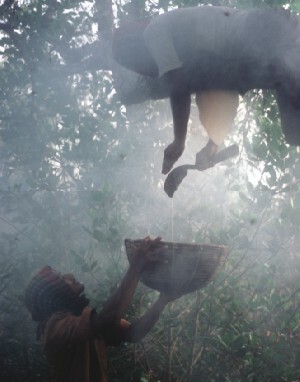 As April dawns, the mowalis, the local name for the honey collectors, prepare to go deep into the forest to lay their hands on the most precious natural resource of all, honey --mou in Bangla.